High school principal Sara Dingledy leads Class Night ceremony Friday. A total of $1.79 million in scholarships was handed out this year to Martha’s Vineyard Regional High School seniors and postgraduates, setting a new record. 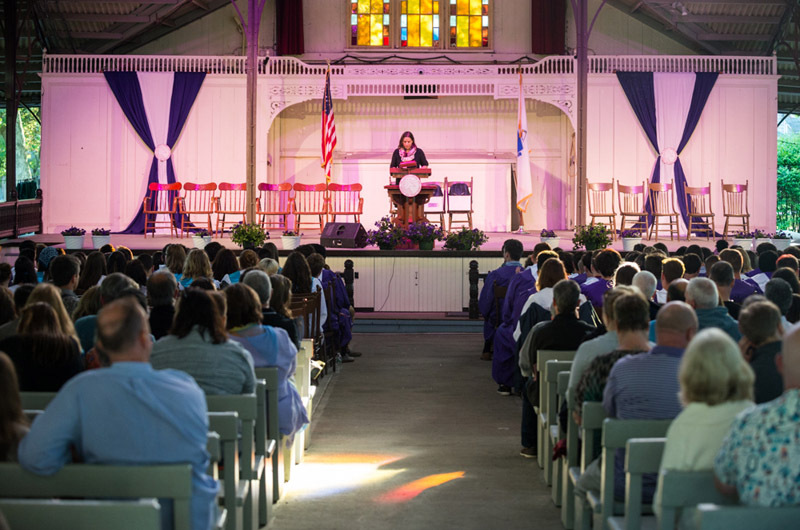 The awards were handed out at Class Night at the Tabernacle Friday evening, two days before the Sunday commencement ceremonies. 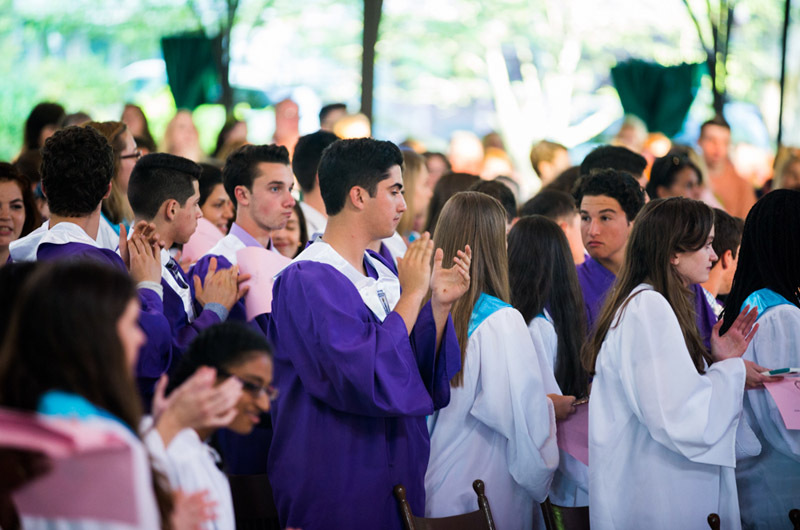 Over the course of the program, more than $1 million was presented to 146 graduating seniors. The rest of the funds went to postgraduates and other Island students. In total, 743 scholarships were distributed. The scholarships will fund a variety of post-secondary school education options that encompass but extend beyond just four and two-year colleges. Some awards are designated to aid students who choose to pursue technical education, apprenticeships, gap years and full-time employment. “Both the families and the students were so appreciative of the community and what they’re doing to help them extend their education. It was just a very special night,” high school director of guidance and counseling Mike McCarthy said later. Mr. McCarthy marveled at the strong showing of community support that made the night possible. “It isn’t just a handful of people, this is a community event, and all different walks of people came that night to contribute to our kids’ education,” he said. The lengthy list of donors includes Island families, organizations ranging from MVYouth to the Martha’s Vineyard Striped Bass and Bluefish Derby, small businesses, sports teams, law enforcement and emergency responders. Mr. McCarthy began directing the scholarship program in 1999, when the funds distributed stood at around $465,000. Since then the sum has more than tripled, with over 100 additional donors joining to create awards. Mr. McCarthy noted that this year there were seven new prizes. “It just keeps growing over the years,” he said. More photos from class night. Great way to reward students and invest in our future!